We have activities for the whole family, teens and young adults, including: sunflower maze, giant board games, a giant slide, Three Little Pigs & Kangaroo Petting Zoo, pedal carts, tractor rides, archery tag, Funballz, over 10 bouncy houses, Eurobungy, gemstone mining, climbing wall & more! Food concessions are available - including our famous homemade fudge! Special events throughout the year. Kid' summer camps in July and August. We are open for birthday parties, field trips and other group events from May to October. We have activities for the whole family, teens and young adults, including: sunflower maze, giant board games, a giant slide, Three Little Pigs & Kangaroo Petting Zoo, pedal carts, tractor rides, archery tag, Funballz, over 10 bouncy houses, Eurobungy, gemstone mining, climbing wall & more! Food concessions are available - including our famous homemade fudge! 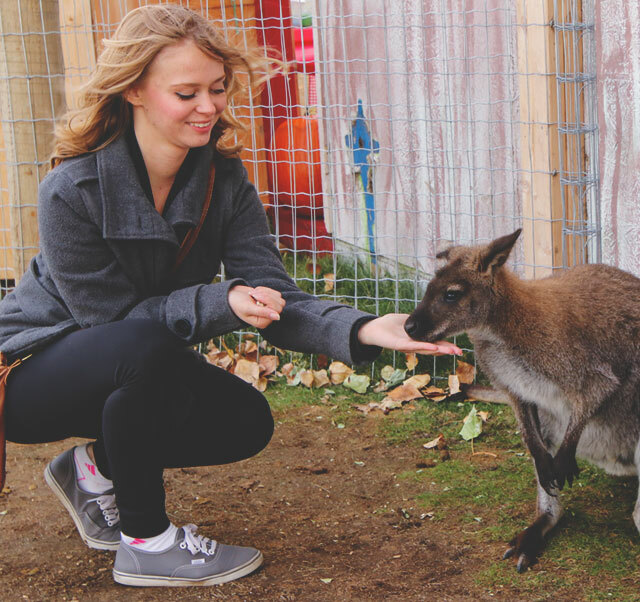 Visit and pet the kangaroos. 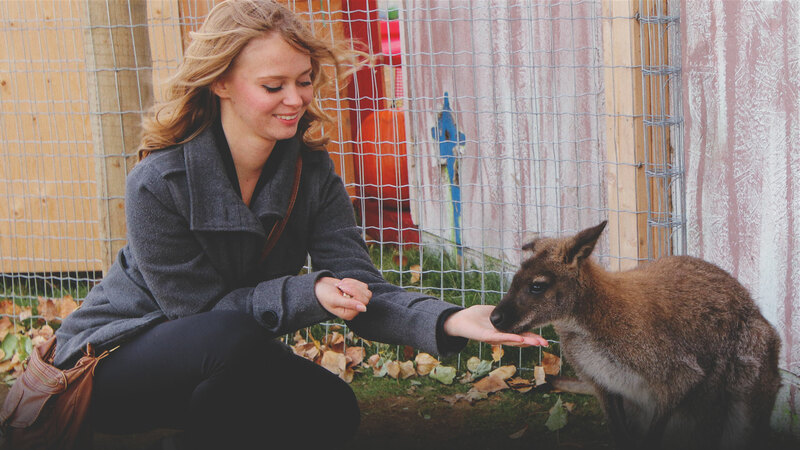 Only place in Alberta to pet and feed kangaroos. Special events throughout the year. Kid' summer camps in July and August. We are open for birthday parties, field trips and other group events from May to October.